The lovely, enthusiastic and multi-talented Sara O’Connor spoke to the Chiltern Writers in Wendover last night. Sara is senior editorial manager for fiction at Hodder Children’s Books. 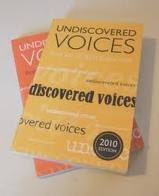 Previously she was senior commissioning editor for book packagers extraordinaire, Working Partners, and she is also co-editor of the wonderful Undiscovered Voices anthology, the SCBWI competition for unagented and unpublished writers that has launched many careers – including one Carnegie listed Candy Gourlay. As if that isn’t enough, she has also written four books in a popular children's series for a packager that are coming out this year. Sara O’Connor answers THE question: how do you get published? I'm assuming a fabulous book is the beautifully edited, slashed to the bone version. Sara looks very happy with a chainsaw in her hands. 1. Get Reading: see what is out there. In your library, on bookstore shelves. What is in, what are the themes, the subjects? Know your market. 2. Get Support: writers need support! Writing friends, critique groups, writing groups. Because no-one else really understands, do they? If you write for children: join the SCBWI! Do it now! 3. Get Noticed: Get your name out there. On Facebook, or Twitter; write articles for websites; enter competitions; go to writing events and conferences where you can meet agents and editors. Get your name known so that when you send your work out, agents and editors look at it and think, 'ah yes, I remember this lovely writer'. It makes them more open to your submissions. Of course, I suspect remembering a lovely writer is a good thing; remembering a crazy stalker writer is a bad thing. It is all a question of balance. 4. Get Money! Look into selling articles, or short stories. Book packagers like Working Partners are a way for a new writer with a good voice but difficulties in plotting or structure to get detailed feedback and support as well as income, and to make vital connections. They are also useful as an income stream for prolific, established writers who don't want to saturate the market in their own name. Of course there is also the usual route of jumping on the slush piles of traditional publishers and agents. Self-publishing is another option, though Sara cautioned that careful research is needed when considering the latter. 5. Get Positive; or, at least, Get Over It. I’m working on that one. 6. Move On - get on to the Next Thing. Don’t rewrite and obsess over the same work over and over and over again. Start something new. Sara is looking to acquire young fiction from 5 plus on up, but not YA. Sadly, you will need an agent to submit to her at Hodder, unless you are lucky enough to attend an event like this one. It's invaluable for those of us on the fringes of publication to listen to experienced editors. Especially one as warm as Sara, every time I come across her Wise Words it feels like a personal pep talk! straight to the point, as ever! Great to hear such good advice straight from someone who knows the business from all sides. I left the event feeling all enthusiastic about stories and life in general, and managed to pass that on to a lovely bunch of 7,8 and 9 year olds today. Not a bad end to the week! Great round up of my talk. And, Kathryn, that's such a lovely comment. I've decided to make that the cornerstone of all my talks - a personal pep talk for any writer listening. Thanks for sharing Sara's advice, Teri. Useful stuff. Sounds like a great talk and very useful round up, thanks! Thanks, everyone, for the comments! It was a good night.